Misha Zadeh for University Village. On property promotional signage featuring vibrant watercolor illustrations. 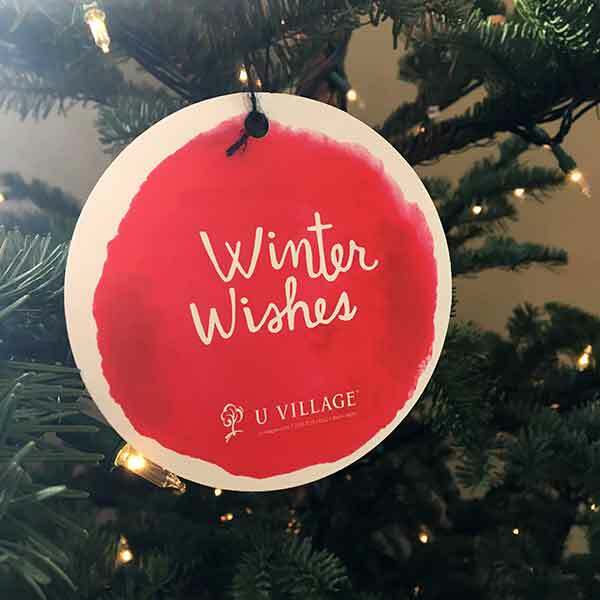 I was thrilled to work with the team at University Village shopping center on their holiday marketing campaign for the second year in a row. This year, we went with gestural watercolor illustrations in a palette of sapphire blue, lush pinky red, warm orange and inky black — which stood out against a crisp, white background. I did some hand lettering, and of course there was a fair share of quirky creatures. It is a joy to work with a team so receptive to my work, and to promote a place where I've spent a great deal of time over the years. I have particularly nostalgic memories of days spent roaming the peaceful outdoor spaces with my little ones in a stroller — window shopping, enjoying snacks, and watching them climb on the outdoor play structure before the time they reached the age limit. 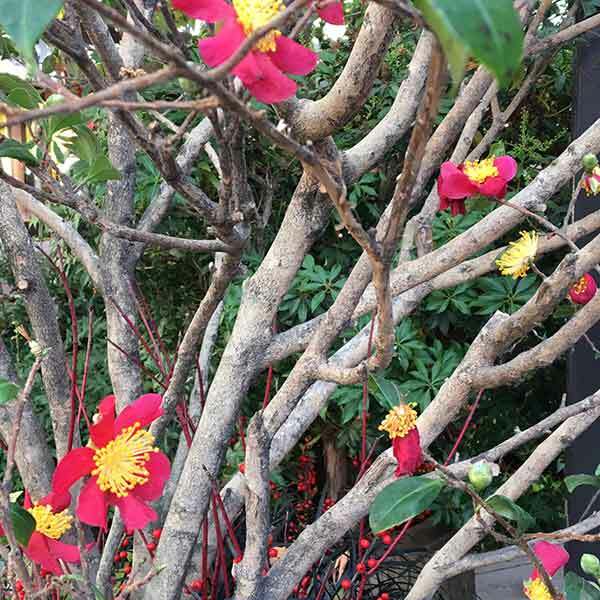 It's my go-to place for creative stimulation — from the stunning, year-round landscaping on the property to the wonderfully curated shelves and walls of Anthropologie, Ravenna Gardens, Fireworks, and the Land of Nod. A visit is not complete without a tasty lunch from Pasta & Co, and of course a macchiato with chocolate covered orange confit from Fran's. Side note, I'd love to do some illustrations for Fran's! Being a Seattle native, I've seen UV grow and change and become the hub of the neighborhood in the shadow of the University of Washington (my alma mater). I look forward to seeing what the future holds for UV.